Think Solar and Wind are the Way to Go? Think solar and wind are cheap alternatives to coal power plants? Per this paper from Peter Lang, Emission Cuts Realities – Electricity Generation they’re not as cheap as you think, not to mention as feasible. Five options for cutting CO2 emissions from electricity generation in Australia are compared with a “Business as Usual‟ option over the period 2010 to 2050. The six options comprise combinations of coal, gas, nuclear, wind and solar thermal technologies. The conclusions: The nuclear option reduces CO2 emissions the most, is the only option that can be built quickly enough to make the deep emissions cuts required, and is the least cost of the options that can cut emissions sustainably. Solar thermal and wind power are the highest cost of the options considered. The cost of avoiding emissions is lowest with nuclear and highest with solar and wind power. I hope you enjoy his paper, which goes to show you again, that the people in charge need to start looking before they’re leaping. Per this paper they’re wasting time and money on boondoggles, when they should be building nuclear power plants that will reduce CO2 with the best cost-benefit and quickest effect. Peter Lang has a paper titled “Solar Power Realities” that gets down to the nitty-gritty about solar power. He’s a retired geologist and engineer with 40 years experience on a wide range of energy products throughout the world, including managing energy R & D and providing policy advice for government and opposition. His experience includes coal, oil, gas, hydro, geothermal, nuclear power plants, nuclear waste disposal, and a wide range of energy and end use management projects. This paper provides a simple analysis of the capital cost of solar power and energy storage sufficient to meet the demand of Australia’s National Electricity Market. It also considers some of the environmental effects. It puts the figures in perspective by looking at the limit position, the paper highlights the very high costs imposed by mandating and subsidising solar power. The minimum power output, not the peak or average, is the main factor governing solar power’s economic viability. 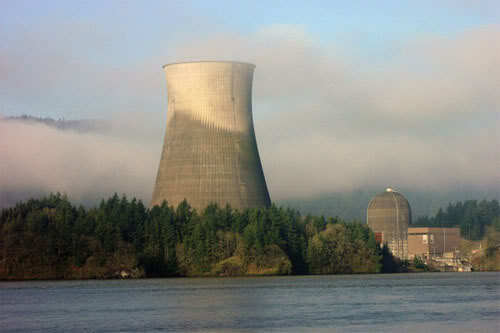 The capital cost would be 20 times more than nuclear power. The least-cost solar option would require 400 times more land area and emit 20 times more CO2 than nuclear power. Conclusions: solar power is uneconomic. Government mandates and subsidies hide the true cost of renewable energy but these additional costs must be carried by others. Here is a link to his paper (PDF). He as also written an addendum, here is a link (PDF). Here is a link to another paper of his on the cost of transmission (PDF). Here is a link to Brave New Climate where the papers and articles about this reside.